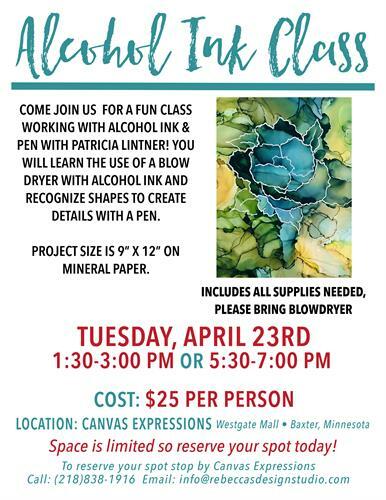 Come join us for a fun class working with alcohol ink & pen with Patricia Lintner! You will learn how to use a blow dryer with alcohol ink and recognize shapes to create details with a pen! Project size is 9" X 12" on mineral paper. Please bring blow dryer, class will suply all other materials.